If you’ve spent any time around me at all for the past few months, you’ve heard me talk (with great vigor) about the Yuppie Rally. 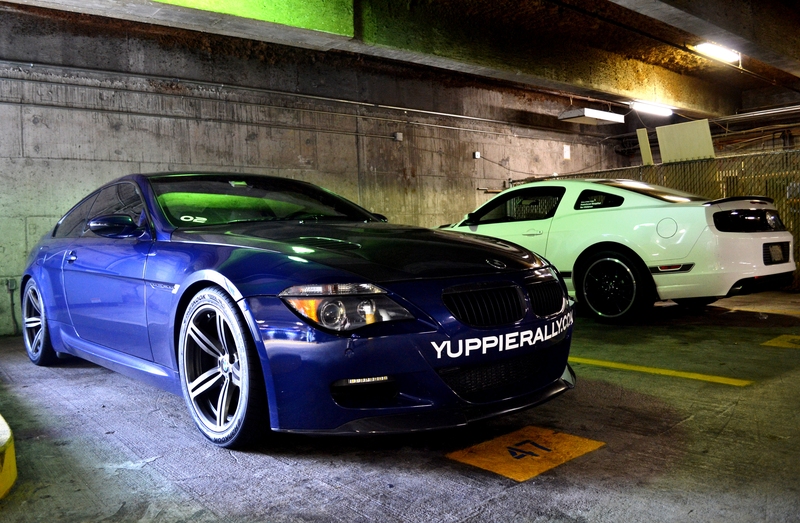 Put together by the great team over at Yuppie Racing, the 2012 Yuppie Rally ran from the Aston Martin of New England dealership in Waltham, Massachusetts, down to The Tail of the Dragon in Tennessee, up to Atlantic City and back, all the while raising money to support Guardian Angel Motorsports and the Franciscan Hospital for Children in Brighton, MA. 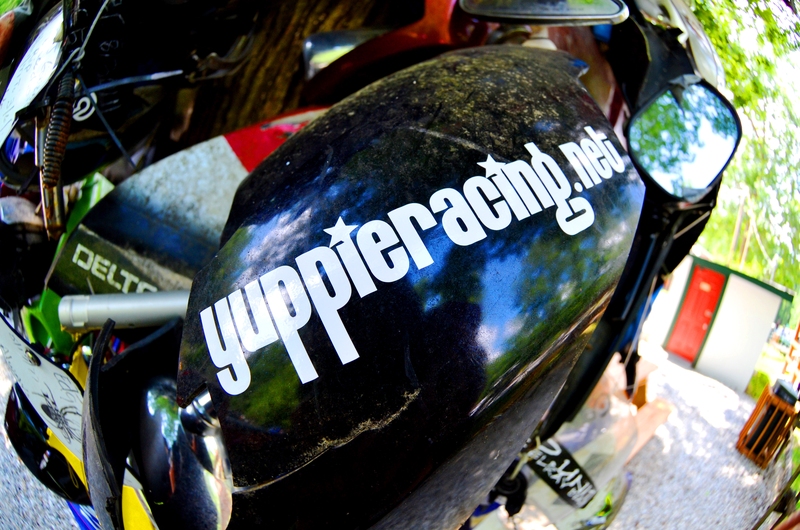 Be sure to check out Yuppie Racing’s website HERE, and the TDC Facebook page for more photos and video from the Rally. You think your trunk is small? Day 1 – So It Begins: Sometimes in life you’re presented with moments and opportunities that cause you to stop abruptly, take a wide-eyed look around, and say to yourself, “How the heck did I end up here?” I had one of those moments earlier this month as I slid into the passenger seat of a new cherry red Audi R8 V10, getting ready to embark on the five day, 2500 mile Yuppie Rally. As I closed the bank vault-like door and listened to the R8’s Lamborghini-derived V10 engine snarled to life, I still couldn’t figure out what divine intervention landed me here. Those thoughts, along with the rest of my brain, were reduced to the consistency of scrambled eggs as I experienced the full fury of the R8 for the first time. It was going to be a good week. I met Pete Ladas and Chris Benvie, the masterminds behind Yuppie Racing, through Steve Oldford and Guardian Angel Motorsports. After several months of figuring out sponsorship parameters, what I could bring to the table, and finalizing the details, I found myself the recipient of a seat on the Yuppie Rally with only food and gas bills ahead of me. For what felt like years I had imagined being on the Rally and carving up smooth Southern roads behind the wheel of some exotic machine, partying in Atlantic City, and spending a week with card carrying gearheads. Scott Marberblatt, the owner of the R8, was gracious enough to offer me his passenger seat and for that I am eternally grateful. A huge shout out to the Team O’Neil Rally School for donating a multi-day Rally School to the Rally—they were primary reason I was able to attend this year! Be sure to visit their website HERE, and read the ‘Chasing Racing Dreams’ feature I previously wrote on the school HERE. Just after five pm, all 18 cars rolled out of Aston Martin with our first destination being a hotel right outside Philadelphia, PA. The two hours before we departed were spent mingling, swapping stories about previous rallies, and getting the pre-rally briefing from Chris and Pete on the days that lay ahead. To the untrained eye, a Rally may appear to simply be an excuse for people to get together and drive like lunatics. Watching videos on YouTube of the infamous Gumball or Bullrun rallies can create a skewed perception of what an event like this is. To some degree, yes, it is about having a blast on the road with your buddies, but it’s also about raising money for a great cause and being a brand ambassador for what the Yuppie Rally is all about. And having epic adventures. This is the way other cars look in an R8. The trip from Mass to our hotel in Philly was relatively uneventful (if you can call an exotic car rally uneventful) and we somehow managed to squeak across the George Washington Bridge outside New York City with essentially no traffic. We arrived at the first hotel around 10pm. My original plan was to put a post up on TDC each day of the Rally, but as soon as I caught sight of the hotel bed’s deep pillows and crisp sheets, I knew that idea was a goner. Day 1 Highlight: Hitting the first of many tunnels we would see in the R8 (Did I mention it had a Tubi aftermarket exhaust? It sounded like… God). 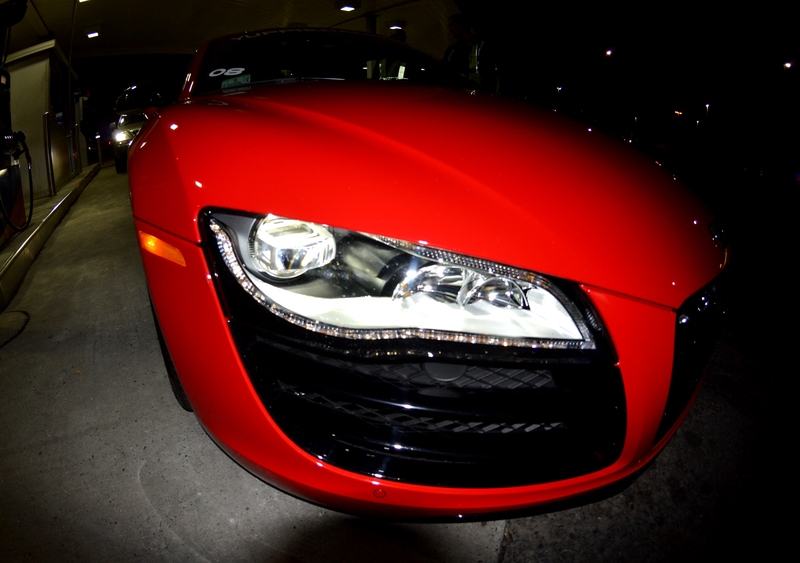 A car like the R8 turns average driving experiences into sheer bliss. Day 2 – Perceptions Redefined: Day two dawned bright and gorgeous. Walking around back of the hotel and seeing all our cars lined up in private parking spots, gently sprinkled with morning mist, was an excellent way to start the day. So was seeing the looks of disbelief on all the faces of the hotel staff. (Sidenote: two of my favorite parts about hotels are 1.) Not having to clean anything, and 2.) Free continental breakfast. Pretty sure endless free breakfast is actually heaven). We headed out of the hotel and pointed our caravan south towards Virginia, the location of our next checkpoint. After several exciting hours, we pulled into a rest area for the requisite stretch/bathroom break/gas fill up. As we got ready to hit the road again, Scott asked me if I wanted to drive and handed me the keys. I’m pretty sure that had I looked up, I would have seen a soft celestial light caressing my brow. Climbing into the driver’s seat of the R8 for the first time was strangely serene—I had expected to feel overwhelming excitement, verging on delirium, at the prospect of driving the car, but that wasn’t what I felt at all. Pulling the door closed with a satisfying thunk, sliding the key into the ignition and starting the breathlessly rampant V10 behind me simply felt natural, correct. Instead of a blinding excitement, I felt a sense of calm definiteness that this was where I needed to be. When people ask me what driving the R8 was like I tell them this—it’s exactly as good as you think it is. Comfortable, spacious, and a bit like driving a 520 horsepower slab of granite. Regardless of the speed you’re traveling at, the R8 tracks exactly where you point it and is easy enough to drive at speed as your mom’s Corolla. Fortunately, Scott ordered his car with the gated manual transmission which only added to the drama and excitement of the experience. Direct, communicative steering, confidence inspiring brakes, and enough power to whip your head back and exploit positively any gap in traffic with ease. The Tubi exhaust elevated the R8’s soundtrack from Heavenly Exhaust Note to Shattering Sonic Eargasm. And just below the surface of the R8’s crisp Germanic perfection, is a frantic sense of barely contained rage. The car felt gritty and raw, and it wasn’t hard to imagine the joy you would receive from caning it around a track. Check out this video I recorded from the R8 while we stormed through a tunnel on the Chesapeake Bay Bridge HERE. 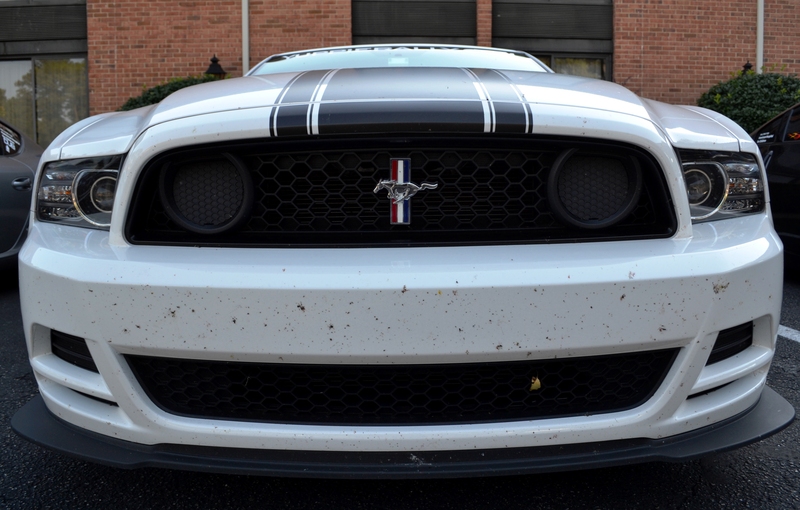 Bottom line: I love this car. Several hours later we made it to Virginia, one of my favorite places in the world. Beautiful farmlands, incredible weather, rich history, “southern” enough to be interesting, and “northern” enough to not make one start whistling the theme from “Deliverance”. We cruised through lush rolling hills, past dozens of Civil War monuments, surrounded by the sweet late spring air on our way to Blenheim Vineyards, a gorgeous vineyard owned by THE Dave Mathews. As it turned out, the roads around Blenheim were absolutely incredible and we, ahem, enjoyed them to the fullest. We arrived at Blenheim and were treated to a wine tasting and a short tour of the winery. Afterwards, we were anxious to get back on the road and onto the night’s hotel located in Knoxville, TN, so we jumped back in and headed out. Day 2 Highlight: Driving the R8. Duh. Day 3 – Dragon Slayer: For me, one of the best parts of the Rally was seeing the looks on people’s faces when our entire convoy would roll through their neighborhood—a hilarious concoction of disbelief, followed by awe, topped off with either confusion or uncontrollable excitement, generally depending on the person’s age. It was also hugely entertaining to talk to the people who approached us whenever we stopped. Walking down to hotel parking garage on Wednesday morning, we met the manager who secured all the private parking spaces we were occupying. This normally reserved older woman babbled excitedly about how much she loved Chris’s Shelby GT500, the fun we must all be having and how great it was we were raising money for charity. I thought she was going to keel over when all the cars started up and revved their engines. As we rolled out of the garage into the morning sun, we were all thinking about only one thing: The Tail of the Dragon. If you’re into cars or motorcycles, you’re bound to hear about the infamous Tail of the Dragon sooner or later. If you haven’t, allow me to be the first to welcome you to Higher Knowledge. The Dragon is a slithering ribbon of tarmac that boasts 318 curves in 11 miles—technically called US Route 129—that crosses the Tennessee/North Carolina border on the southern edge of the Great Smoky Mountain National Park. The drive to the Dragon is pretty tame and unassuming, but the excitement in our group was absolutely palpable as we closed in on what’s generally regarded as the best driving road in the country. It was mid-morning when we arrived at the start of the Dragon on the Tennessee side and we pulled over for a quick photo shoot against the backdrop of beautiful Chilhowee Lake. From the Tennessee side, the Dragon begins as flowing and graceful as it follow Chilhowee Lake and weaves around the bottoms of thickly wooded hills. When the road departs from the lake and deep banks of trees fill the edges of the windshield, the Dragon surges uphill and begins its savagely winding path. There was an ear-to-ear grin permanently plastered on my face as Scott and I enjoyed what was very likely the best road either of us had been on. (Accelerate, hard on the brakes, navigate the hairpin, feel the banking of the turn push you down into the seat, back on the power, hard on the brakes, around the next hairpin, on the power again). Sitting in the passenger seat of the R8, it felt like I should be wearing a helmet and reading course notes to Travis Pastrana. The main thing that struck me about the Dragon is that nothing can really prepare you for how technical it is. Pull up videos on YouTube or listen to someone try and explain how the off camber banked corners come at you mile after mile, and you’ll still have your mind blown the first time you drive it. You just can’t believe how severe the turns are and how demanding it is to drive it quickly. In the words of the eternal Jeremy Clarkson, “You need to be awake to drive this fast!” It was undoubtedly one of the best driving experiences I’ve ever had. 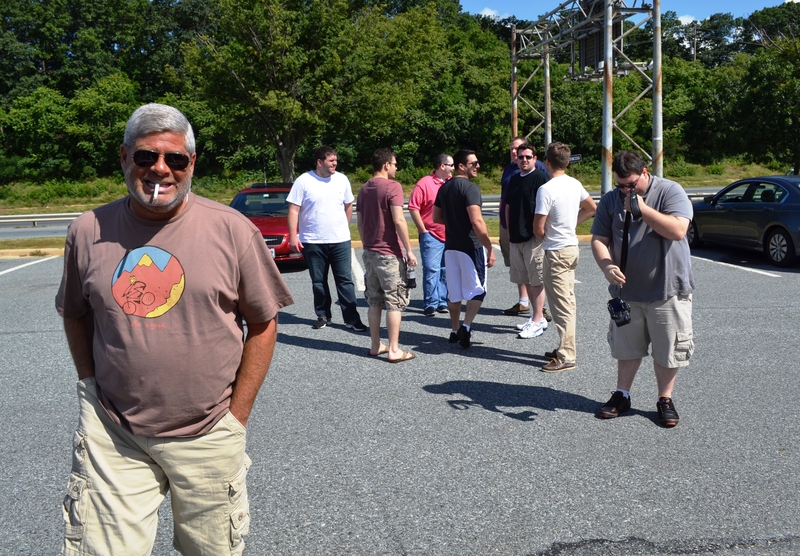 The day we were there, several car clubs and hordes of motorcycles were running on the Dragon. 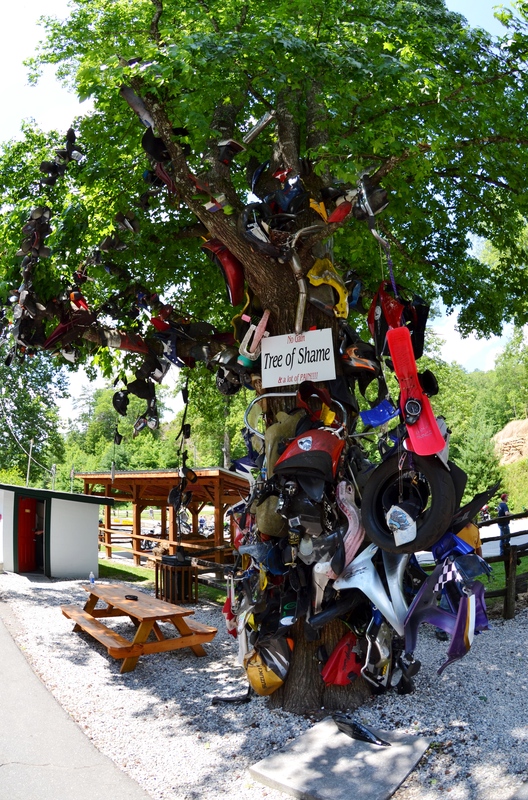 The Dragon is perhaps more a motorcycling mecca than anything else. It’s ideally suited for hard riding on a motorcycle, though having so many bikes on the road makes driving with caution and awareness even more important. If you’re going to make the pilgrimage to the Dragon, read up on it as much as possible first and treat it with the respect it deserves. After we had our faces melted off on the Dragon, we headed to the Cherohola Skyway, another incredible piece of mountain road and the sister road to the Dragon. A driving mecca in-and-of itself, the Skyway’s sweeping turns and scenic vistas were the perfect way to wrap up what had been an incredible day. Our convoy lined up and headed Northeast towards the night’s hotel in Johnson City, TN. Day 3 Highlight: Taming the Dragon and running the gorgeous Cherohola Skyway. 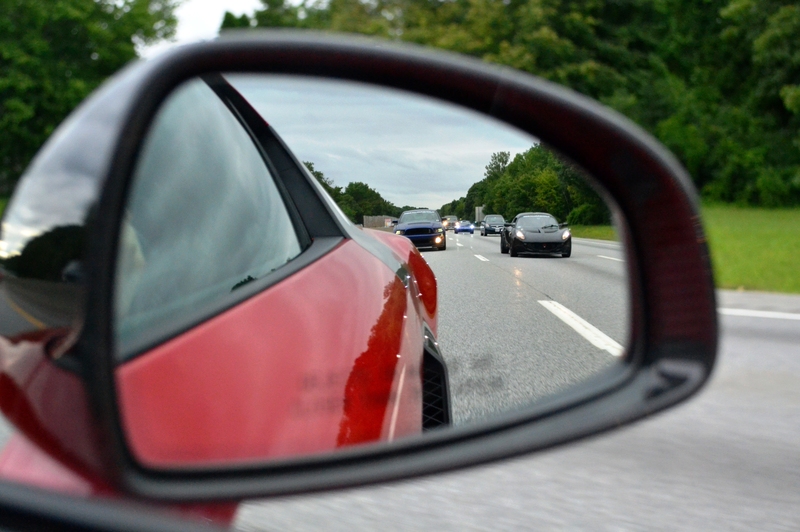 Day 4 – Disturbing The Peace: A convoy of 18 exotic sports cars charging through sleepy rural Appalachian towns gives new meaning to the phrase disturbing the peace. It’s likely that not one of the people we passed on our way out of Johnson City or the other tiny towns we drove through had ever seen anything quite like it. I have a snapshot memory of a young boy standing on a dilapidated porch holding a dirty comforter (why? ), eyes wide and mouth open as we passed by. Probably what I would look like if I was 10 and saw us, though hopefully minus the comforter. We left that part of the South seeing things quite unlike we’d seen before as well. Example—in the outskirts of some small town near Johnson City, we passed a low concrete block building that featured French maid outfits and fishnet stockings in their front window under a sign that read “The Fuzzy Hole stripclub”. While Drake and Lil’ Wayne have indeed given us the moto (YOLO! ), that’s one experience I’m totally okay with never having. Our journey was not without peril, however. Both Porsche 911 Turbos on the trip had their share of mechanical troubles—the “Team Bath Salts” Porsche driven by Sam Laurie and Alex Jarvie experienced major steering pump issues and had to be driven to a shop for repairs, and Fedele Cacia and his wife Ivana in the yellow Porsche had such severe transmission problems, the car ended up on a U-Haul trailer for the final leg of the trip. Considering we drove a combined 45,000 miles over the course of six days, it’s amazing there wasn’t more mechanical fallout. Both Porsche’s ended far behind the rest of the group and made it to the hotel well after the rest of us had dug into our delicious buffet dinner. Our next hotel was in the historic and beautiful Williamsburg, VA. The drive there flowed by in a blur of sunshine, beef jerky, prodigious horsepower, and hilarious two-way radio banter (each of the cars was given a two-way at the start of the trip). I was especially excited to be staying in Williamsburg. As a kid, my sister and I would spend several weeks in the summer visiting grandparents who live in Newport News. We often went to Williamsburg and the neighboring Busch Gardens theme park, so it definitely holds a special place in my heart. As the sun began to set behind the hotel and bathe our bug splattered convoy in soft evening light, the only sound was the soft tickticktick of gently cooling Porsches. Day 4 Highlight: Blowing minds in rural Tennessee with our awesomeness. Back at the hotel, we tuned our navigation systems for Atlantic City, NJ and headed out. I jumped back into the R8 with Scott for the run to Atlantic City (did I mention how much I love this car?) Our first checkpoint was a restaurant just over the Chesapeake Bay Bridge in Virginia. If you’ve never been across this bridge, find some excuse to get down there and drive it because it is awesome. Seemingly endless stretches of bridge spear through unbroken miles of shimmering water. The bridge is interrupted by tunnels that dive beneath the Bay, while off in the distance, aircraft carriers and warships dock at a nearby naval base. The restaurant we stopped at was right on the beach and we ate and chilled under a perfect late spring day and watched the waves roll in. 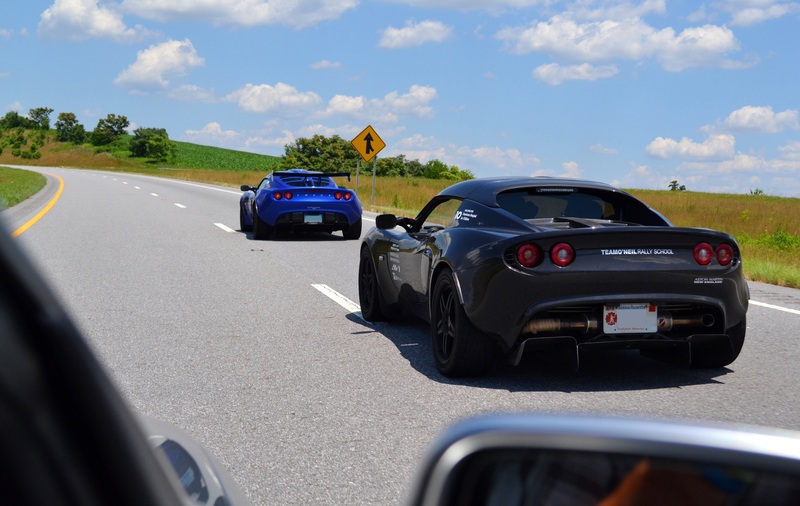 Aside from our entire convoy uncorking their respective throttles in the tunnels and reveling in the full glory of performance exhaust notes in an enclosed space, it was a long and relatively boring drive from Virginia to Atlantic City. At least we had the anticipation of partying it up on the Jersey Shore like Snooki to console the boredom. Arriving at the hotel, however, threw those plans for a bit of a loop. We were supposed to get to the hotel and park our cars right in the valet lot, simple and easy. However, a misunderstanding somewhere in hotel management resulted in all the cars being stuck out front of the hotel for hours and several of the guys having to stay with them until the problem was solved. Not a great way to kick off the final night of the Rally, but the suitably epic amount of mayhem that took place that evening was enough to make up for it. Day 5 Highlight: Pinning the throttle in the R8… under water. Day 6 – Homeward Bound: Part of me was sad to see the last day of the Rally. The previous five days had convinced me that I could very likely drive the Audi R8 everyday for the rest of time. The other part of me, however, was definitely looking forward to getting back home. For the final leg of the trip, I jumped in “Team Re-Pete’s” Audi S4 with Pete Ladas and Pete Gochis (yes, two Pete’s in the same car). Several of the guys had already headed out so the remaining cars made for the highway together and headed north. At a fuel stop somewhere (forgive me for not remembering where we were, all the fuel stops started to blend together), we spotted a wildly modified Suzuki GSX-R 1000 with potentially the longest swingarm in history and an enormous bottle of nitrous strapped to the back. The owner, who had to be more no more than 23, said even without the nitrous he could lift the front wheel of the bike off the ground, and that he hadn’t fully used the nitrous because he was afraid to. Good times. We landed at the Blue Colony Diner in Newtown, CT for one final load of carbs, salt and sugar (thank you french fries, fried chicken and milkshakes) before we split up and headed our separate ways. One by one, the cars peeled off and headed for home, but not before throwing a final fist pump out the window, or making promises to connect up again for the next Yuppie Racing event. 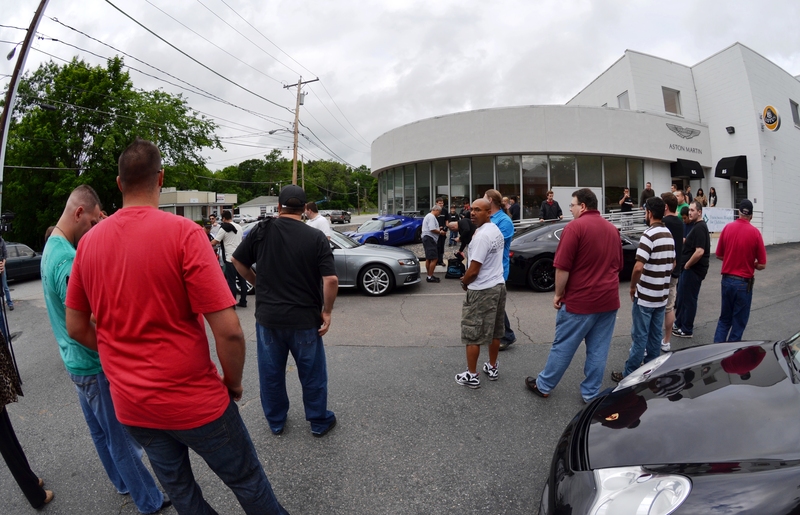 The Petes and I pulled into Aston Martin of New England tired, but excited to be so close to home. While I was happy to be back and sincerely looking forward to not driving and/or moving for as long as possible, even now it’s still hard to forget the unearthly howl of the Audi R8, the chilling supercharger whine from the Lotus Exige, and remembering that the only thing I needed to do each day was love every moment of driving. I can’t wait for my next rally. Many thanks and much respect to all the guys on this year’s Yuppie Rally. Special thanks to Chris Benvie and Pete Ladas from Yuppie Racing, Matt Nolan and Steve Oldford at Aston Martin of New England, the Team O’Neil Rally School for their incredibly generous donation, and to Scott Marberblatt for letting me drive his spectacular car. Excellent recap of the YR. I was supposed to attend this event as well but my vehicle wasn’t 100%. Would love to chat with you more about your experience and what you did to prepare. Thank you!